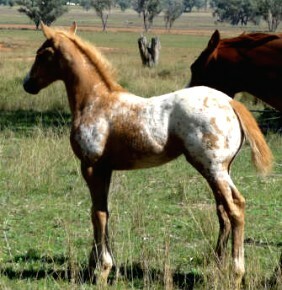 All we hoped for!Brilliant tri coloured near leopard colt,Huge,exquisite head,elevated movement and the sweetest nature. 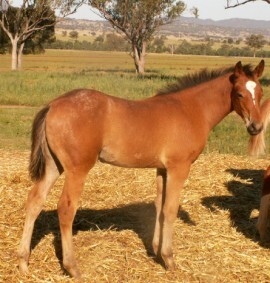 Smash Hit(Sandro Hitx Rubensteins full sister)x Cayuse Transfewsion(A Grand Illusions mum!! 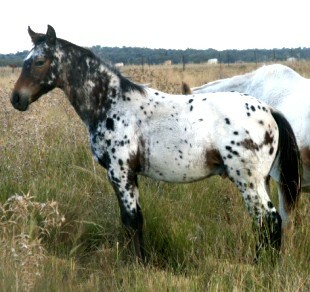 )The Best! 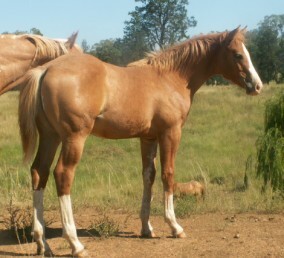 will be a super sportshorse with the sweetest nature. Obviously Jesse can't wait to 'get out there' and compete and carry the Sportaloosa flag!this is day 2.a keen boy! 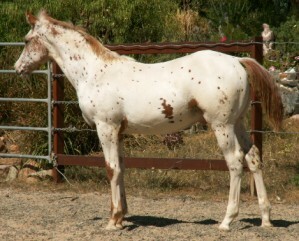 Grand Cru Hannoverian from Cayuse Few Moon.Very athletic,smart and active. A super classy brother for Cayuse Harry Hotspur! 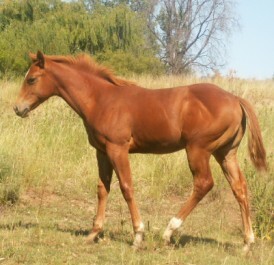 developing into a lovely filly ,very athletic and a future allrounder. 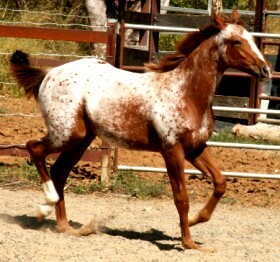 Look at pedigree a Studbook One Sportaloosa! 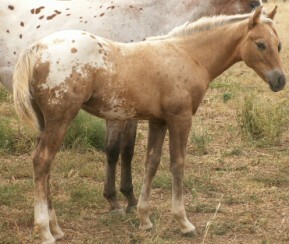 Wow a super super tricoloured fewspot colt. 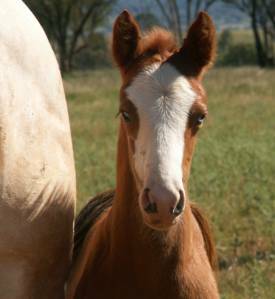 Cayuse Just Too Beautiful by Mighty Storm Song(usa).Born 10 November. 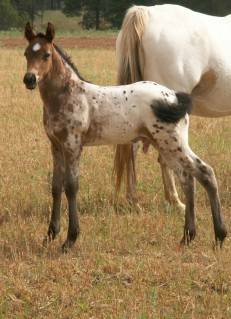 Fabulous colt to breed those big spotted sportaloosas with.Photo at 3 weeks. 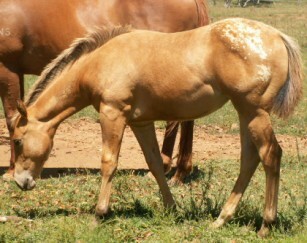 Dun filly .Born 26 November 08.Picture at one day. 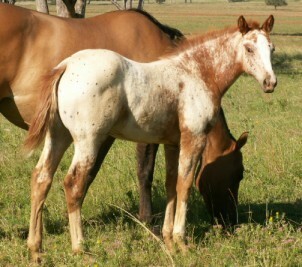 Her dam is the super producer Rics Hornet by Ric-O-Lena. 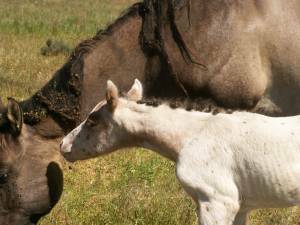 A blue eyed beauty,sharp filly sporting a frosted roan hip blanket. 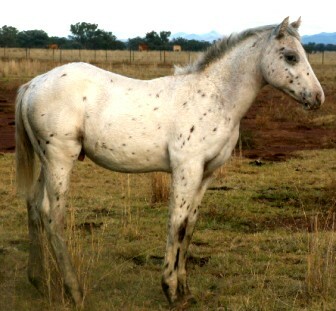 Sire: Cayuse A Grand Illusion ,Dam:Cayuse Theme Song by Mighty Storm Song(usa),Born 24 October. 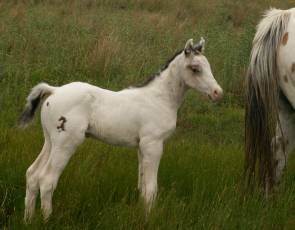 Born to Northern Hemishere time Feb.8 2009.Sired by Cayuse Fewsion ,superior allround performance horse.Dam is the excellant TB. 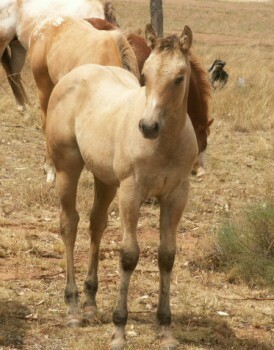 Dazzlin Dora.This filly is shedding out deep gold palomino like her full brother Dazzleman.Will grow into a stunning big mare. 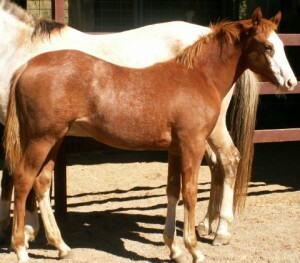 Deep red chestnut filly,born21 August, sired by the Legend Mighty Storm Song(usa). 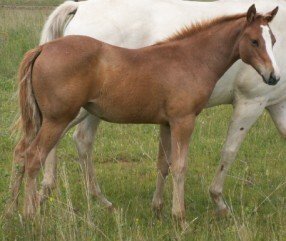 Dam is Cayuse Jaceleine by Cayuse Fewsion from Square Tirage(TB),a half sister to Cayuse Jackson and Cayuse Honest Few.Beautifully built filly and will be deluxe performer under saddle.